A japanese camellia body oil blend that moisturizes the skin and combats the stretch marks. This is the finest grade oil for Aromatherapy. 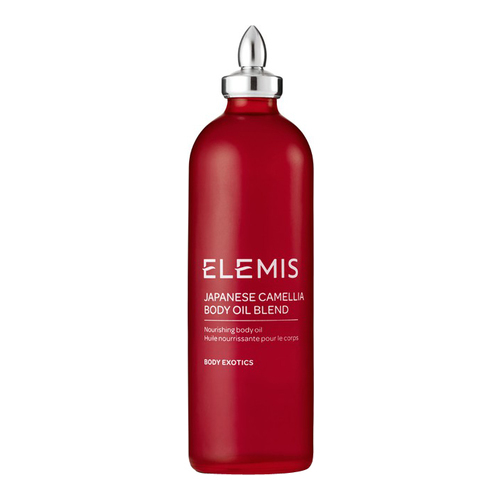 For many centuries Camellia Oil from Japan has been used for the care of nails, hair, scalp and combination skin. Used in the Elemis Nurturing Mother-To-Be pregnancy massage, this light oil is easily absorbed and rich in plant collagen to keep the skin moisturised and supple, helping to prevent stretch marks. Prunus Amygdalus Dulcis (Sweet Almond) Oil, Camellia Oleifera Seed Oil, Camellia Japonica Seed Oil, Parfum (Fragrance), Limonene, Linalool, Tocopherol, Citral, Eugenol, Hexyl Cinnamal. Alpha-Isomethyl Ionone, Coumarin. • Use daily, AM and PM. • Great for skin maintenance and throughout pregnancy over the bust, tummy, buttocks and thighs.